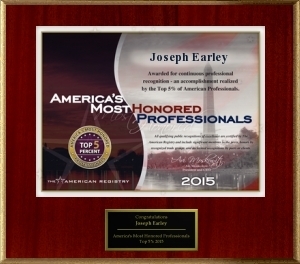 The America's Most Honored Professionals distinction is the only cross-industry and cross-profession honor based on quantitative analysis of authenticated public recognitions. The award only goes to successful individuals who have been publicly recognized for professional excellence with multiple honors from trade groups, peers, clients and the press. Twin Cities Business, Mpls. 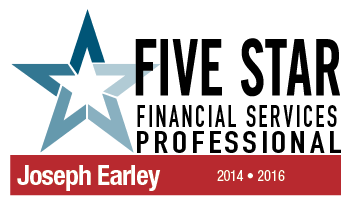 St. Paul Magazine and Five Star Professional partnered to find wealth managers who satisfy 10 objective eligibility and evaluation criteria. Among many distinguishing attributes, the average one-year client retention rate for this year's award winners was more than 96 percent. Award winners satisfied 10 objective eligibility and evaluation criteria that are associated with wealth managers who provide quality services. The Five Star Award goes to less than 7 percent of wealth managers. Eight Estate Planning Attorneys were awarded in 2013. Named by Twin Cities Business and Minneapolis-St. Paul Magazine in 2012 as a Five Star Wealth Manager - Best in Client Satisfaction, one of only eighteen Estate Planning Professionals selected in the Twin Cities area.